Product Review: DL revAMP Plant-Based Food Detox Program Will Give You the Energy You Need to Find Love! Check out our product review of the DL revAMP plant-based detox program! Plus, Executive Editor Lori Bizzoco shares her personal results. This post is sponsored by DL revAMP. This detox program was created by raw food chefs and detox specialists, so you know you’re getting the best of the best. It’s gluten-free, nut-free, dairy-free, wheat-free, tree nut-free, and gran-free. The program, which is approximately 1,200 calories per day, is a combination of raw vegan and lightly-cooked foods; to help you ease into the diet changes, you start with more filling foods and then transition to more healing foods as you get further into the detox. You’ll enjoy eight detox items daily, including a cran-lemo chia water flush, breakfast, a cold-pressed juice, lunch, a power shot, a snack, soup, and detox tea. The company cites numerous benefits to the detox that will lead you to an overall improved state of well-being, which will aid you in finding someone who loves you as much as you love you! These benefits include weight loss, reduced cravings, better sleep, balanced hormones, stronger libido, glowing skin, increased energy, fat burn, improved overall health, reduced bloating, mental clarity, and dependence reduction on sugar, salt, oil, and gluten. Most importantly, you won’t be left feeling hungry or cranky! 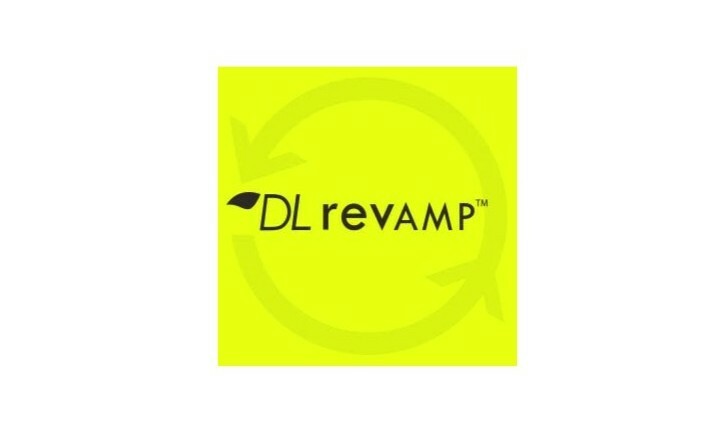 DL revAMP changes the way people view juice cleanses and vegan diets. You’ll stay satisfied throughout the day while detoxifying your body and clearing your mind. When I received the three-day supply of DL revAMP in the mail, I must admit that I was nervous. I had never done a cleanse before. I had never even tried a juice, Wheatgrass or any of that trendy stuff that’s good for you. My expectation was minimal. 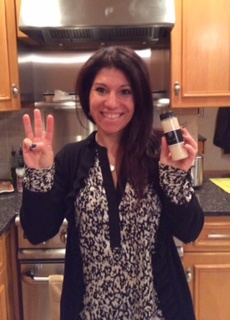 I didn’t think that I would last one day on the cleanse , let alone three! But after the first day, I seriously shocked myself. The plan was so easy to follow, and the food and juices were filling. I found that I went to bed earlier, and when I woke-up in the morning, I felt amazingly awake and full of energy. When people started commenting on my mood and the glow on my skin, I knew something was kicking in. Instead of asking myself how could I do this, I started questioning why I had never done this before?! I made a decision after the three days was over that I would not go back to coffee or caffeine. A week later, my Keurig sits untouched in a corner. I decided after the detox was over to start eating clean a lot more. In fact, I cannot wait for my next cleanse in a ew mHonestly, the cleanse was the best thing I could have done for myself. It’s changed my life and the way I think — for the good! Executive Editor Lori Bizzoco during day three of her detox. If you’re ready to overhaul your diet and change it for the better, you’re in luck! DL revAMP is extending a limited time offer to our readers. Use the promo code REVAMP to receive $100 off of an organic, plant-based food detox delivered to your door. Hurry – this offer expires January 31, 2015! For more information, check out DL revAMP on Facebook or Instagram @DLrevAMP.